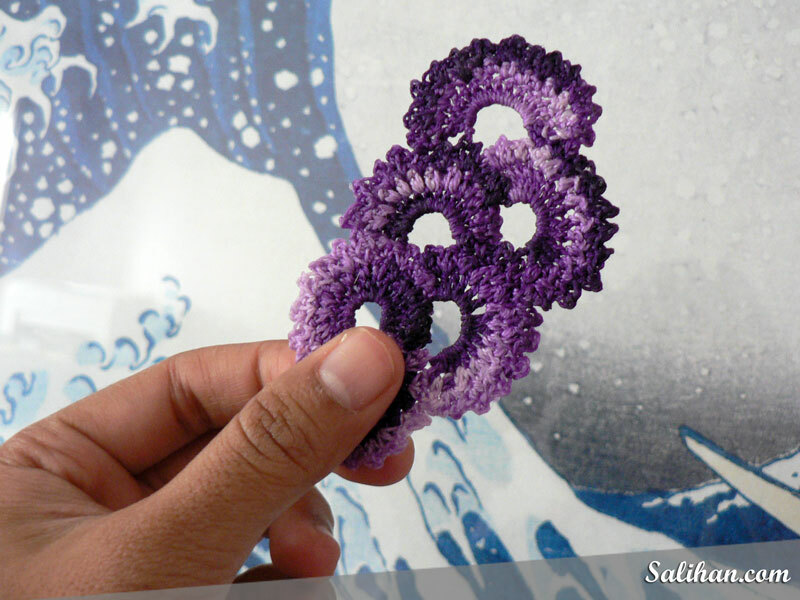 There are several ways to starch your knitted and crocheted projects as explained in this article. 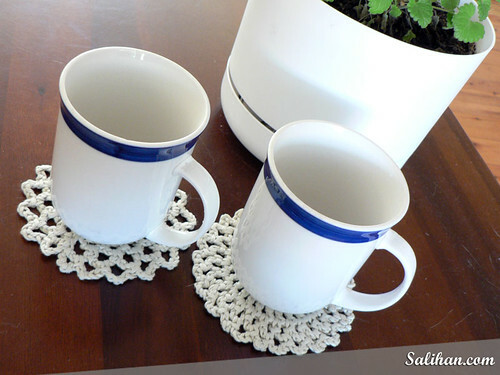 I have used the spray starch method quite a few times on handmade bookmarks and coasters. The objects were stiffer but still pliable. The results were not permanent and had to be reapplied after washing. 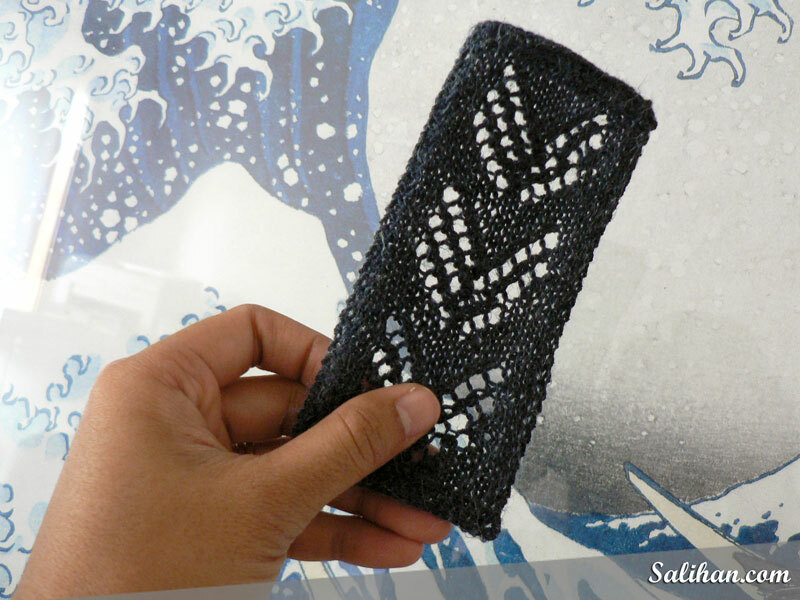 This time I had two bookmarks – one made from mercerized cotton and the other from wool. 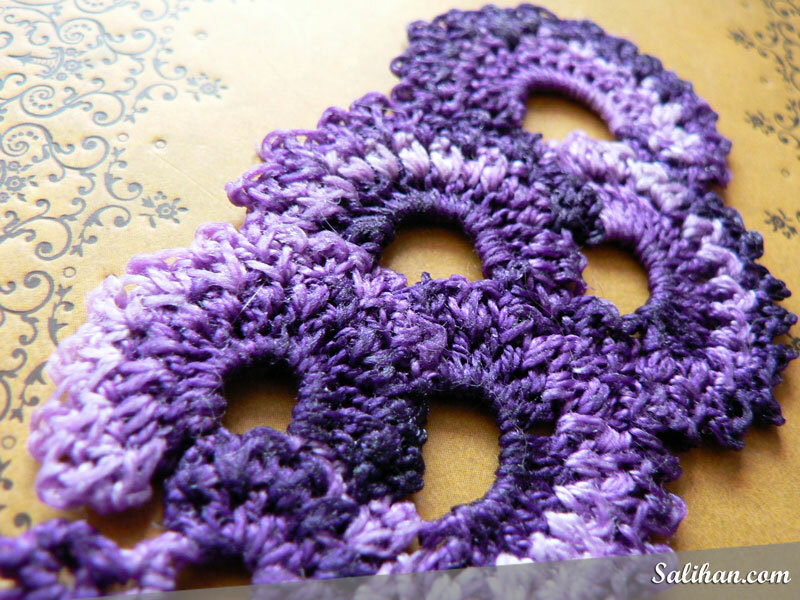 The cotton bookmark is my first Fan Bookmark which didn’t turn out quite what I wanted it to. 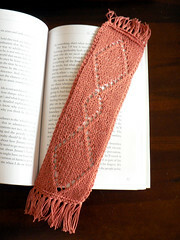 The woolen one was a Triple Chevron Bookmark I knitted for Richard. It curled too much around the edges despite being heavily blocked. I wanted to try starching these bookmarks using the white glue and water method. The results were permanent and I expected the bookmarks to be very stiff. Basically, mix equal parts of white glue and water, dip the items in the mixture, squeeze out excess and lay flat on a hard surface to dry. Easy peasy. 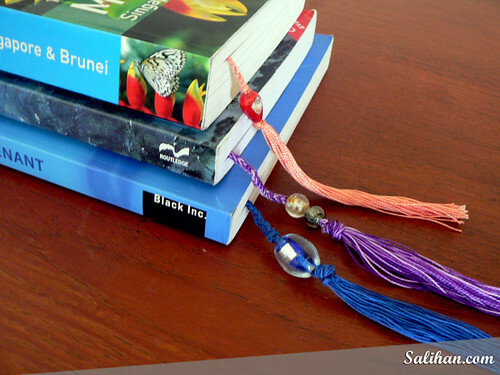 From a distance, both bookmarks looked like they were starched successfully. Both were very stiff and I could easily hold them up without them flopping over. However, on closer inspection, the results were not the same after the all. 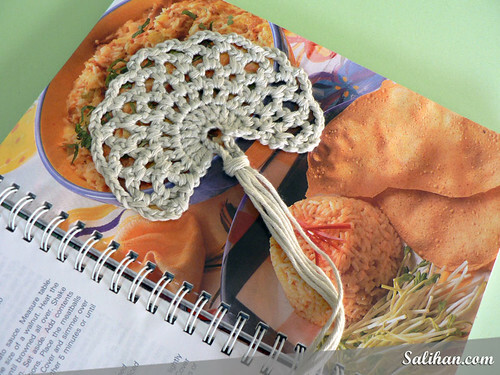 The Fan Bookmark crocheted with mercerized cotton had a smooth, flat finish. 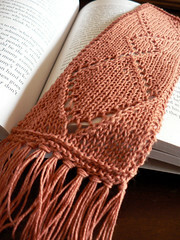 The Triple Chevron Bookmark knitted with 3ply wool, on the other hand, had a rough, very uneven finish. The animal fibres when coated with the white glue and water mixture became much more prominent and tend to stand upright, despite being flattened and smoothed before drying. In the future, I will definitely use this method of starching on cotton, especially mercerised, but not on yarn with animal fibres. Has anyone else have any interesting experiences starching their projects? I think bookmarks are undervalued. I normally use any small piece of paper within arms reach of me. More often than not, it’ll be a store receipt or an old train ticket. It works fine, but it sure does not have the same feel as a handcrafted bookmark. So remember my last blog post and I mentioned that the bags contained something really cute? 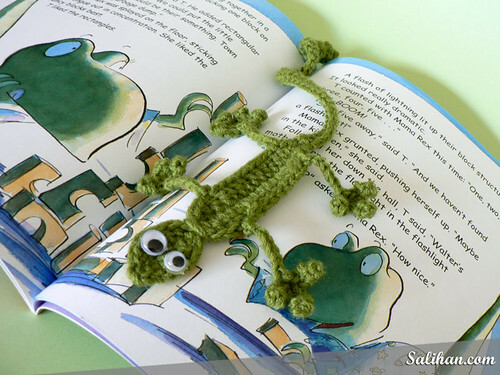 Here they are- Gecko Bookmarks! Well, it won’t be fair for the kids to have all the fun. I made bookmarks for my two friends and my mother too. 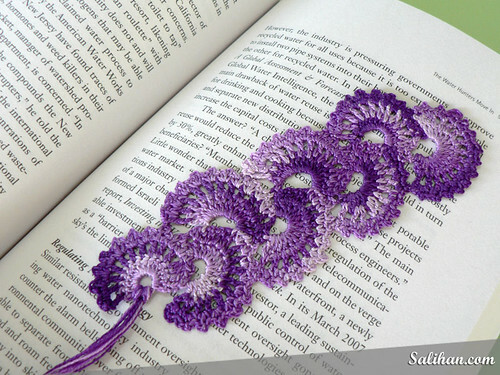 This fan bookmark by Crochetroo is absolutely gorgeous. 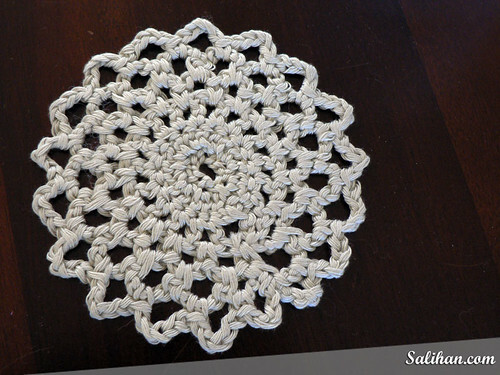 There is a small confusion in the pattern but with another Ravelers help, I sorted it out and I was off! I made three of them on a tiny 1.5mm crochet hook. It was a challenge at first but just look at it. It was definitely worth the time. And I wanted to make even more bookmarks after that. My brother’s birthday was coming up and I thought a bookmark would be perfect for him as he’s an avid reader. It was rather hard to find gender neutral bookmark patterns. But I think I found a winner with the book thong. 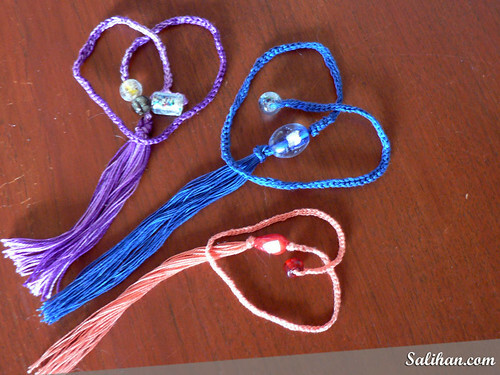 It looks a little strange – a rope like thing with beads on the ends. But I think it works very effectively. I ended up making three and gave the blue one to my brother and the other two to the other mothers. 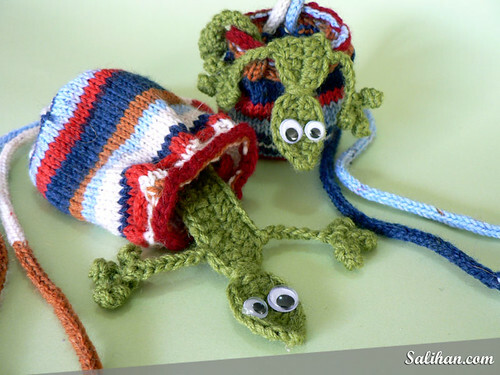 Be warned though if you decide to crochet this, it’s an absolute pain to crochet into the back ridge if you’re using a really tiny thread and hook! Go large. You must think that by now I was over making bookmarks. Nope. I found a pattern with a single fan that looks rather nice. Reminds me of a Chinese fan. So I made one in a peach crochet thread with a 1.5mm hook. 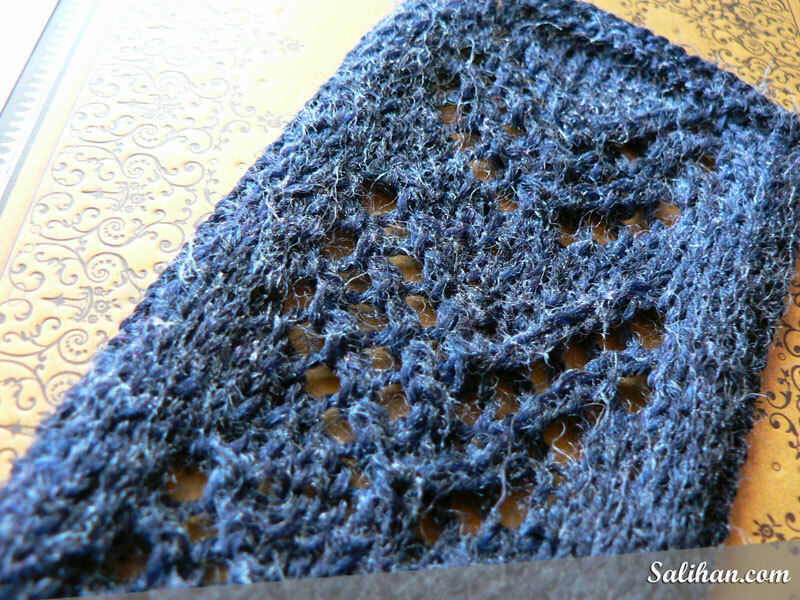 But the pattern said that I could use a worsted weight yarn. 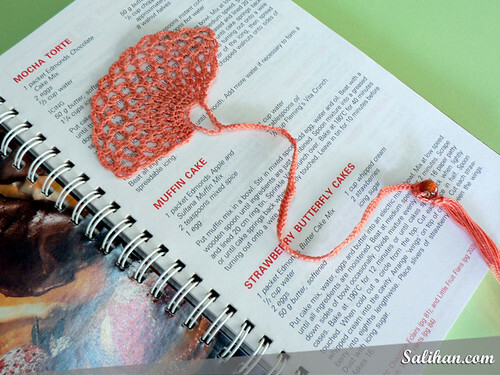 Curiosity led me to crochet a rather large and thick bookmark from leftover 8ply cotton yarn. It was as big as a coaster! Err, not very practical but still lovely. “Coaster! That’s it! 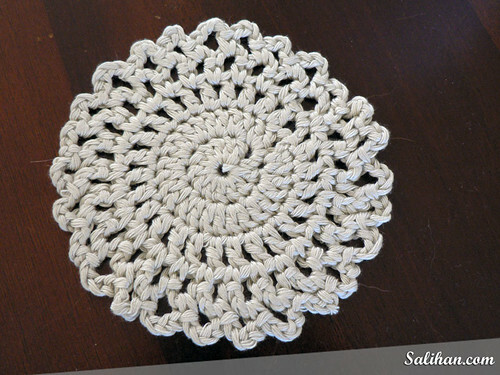 I could crochet it all the way around and make coasters!” I thought to myself. So I experimented a bit more and a couple of hours later, I came up with these. Create something today and share it with someone. I’m addicted to the little fuzzy feeling in my belly when someone says “Thank you! I love it!”. I’m sure you will too. I’ve knitted these bookmarks for Teresa and her daughter, Georgia. I think they really suit both their personalities. I especially like how the strawberry one turned out. I’m sure you can guess who that one is for.